These are the questions posed by Amanda Brace http://amandabrace.edublogs.org/ for Week #2 of the blogging challenge I’ve taken on to help me get to regular writing. 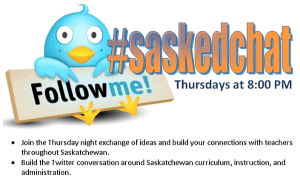 The questions immediately made me reflect on a grad class that I took a few years occur facilitated by Dr. Marc Spooner at the University of Regina. The course was focused on creativity in the classroom: how to embrace and foster it within ourselves and our students. 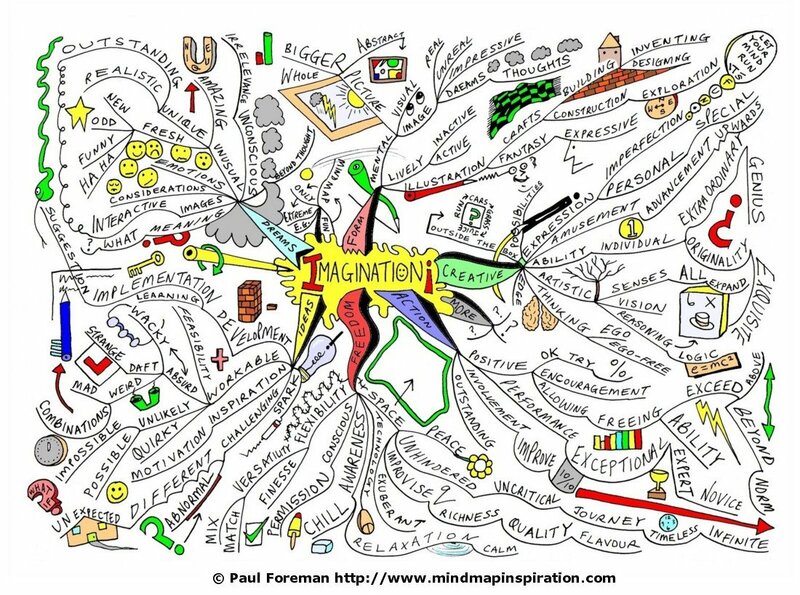 To me imagination and creativity are intrinsically tied together.Thinking outside the box, problem solving and being a creative deviant are all strengths of leaders. These leaders can be leaders in their fields, the new thinkers who strike out on their own or the student who asks thoughtful questions. Teachers who encourage imagination and creativity in their classroom will be rewarded with students who feel their are ideas are welcome and that there isn’t a one size fit all answer to questions posed by their teachers. 1. Embrace creativity as part of learning. 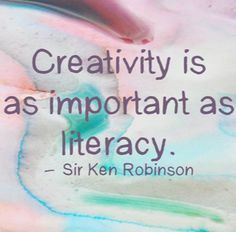 Create a classroom that recognizes creativity. You may want to design awards or bulletin boards to showcase different ways of solving a problem, or creative solutions to a real world scenario. 2. Use the most effective strategies. 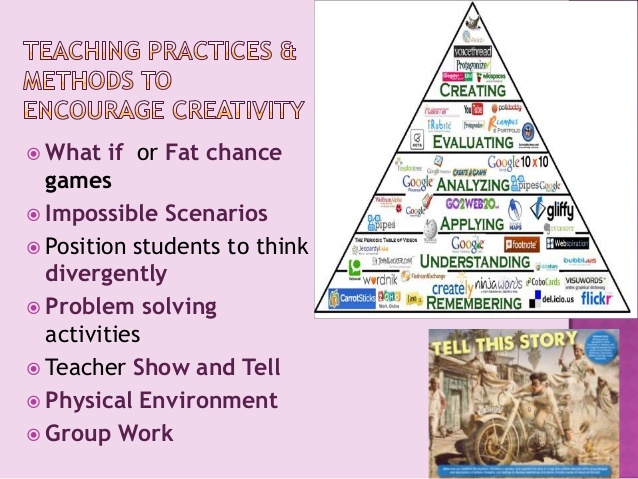 Torrance performed an extensive meta-analysis that considered the most effective ways to teach creativity. He found that the most successful approaches used creative arts, media-oriented programs, or relied on the Osborn-Parnes training program. Programs that incorporated cognitive and emotional functioning were the most successful. 3. Think of creativity as a skill. Much like resourcefulness and inventiveness it is less a trait and more a proficiency that can be taught. If we see it this way, our job as educators becomes to find ways to encourage its use and break it down into smaller skill sets. Psychologists tend to think of creativity as Big-C and Little C. Big C drives big societal ideas, like the Civil Rights movement or a new literary style. Little C is more of a working model of creativity that solves everyday problems. Both concepts can be included in our classrooms. 4. Participate in or create a program to develop creative skills. Programs like Odyssey of the Mind and Thinkquest bring together students from around the world to design creative solutions and bring them to competition. Kelly Christopherson, who I follow on Twitter, posted a blogging challenge. I thought this was a good way to start writing again. My blogging has been sporadic the last few years for an assortment of reasons. I’m not in a classroom situation any more which means that I’m not working with students to use technology. Last year I worked with a grade six class to begin blogging but the class only worked on their blogs once a week when I was with them. My hope was that the classroom teacher would embrace the blog as a way for her class to complete assignments and connect with peers. This school year meant another change and I’m slowly starting to feel comfortable in my new school. If I’m there next year I would love to work with teachers and students in using technology in their classrooms. The topic for this week is Organization/Productivity – tools you use. Share how you stay organized and the tools you use to manage your time and focus on being productive. I have to admit that I’m still a paper agenda person. I like putting my pencil to paper and being to able to flip through the pages of my agenda. I occasionally use my iPhone’s calendar to record appointments but when I get home I put the appointment on the calendar on the fridge then once I’m at work it goes into my agenda. The calendar on the fridge allows family to see when we have appointments. Once in a while I have used the sticky note feature on my desktop but I prefer little yellow sticky notes that I can write reminders on. I sometimes carry the sticky notes with me when I’m completing a task so I don’t forget what I wanted to do. I also write my to-do list in a book. There is something incredibly satisfying about crossing off an item on my list that I have completed. Obviously I have not embraced technology to manage my time and paper makes me happy for notes and reminders. Maybe I’ll use my phone a bit more this year. Who knows….. it’s only February so anything could happen! It has been a long time since I last blogged and when I checked my blog I realized that that last time I wrote on this page was in 2010! Where did the time go and what happened???? At the time I was busy in my classroom of grade fives and sixes, had many collaborative projects running and was actively using technology in my classroom. I think I got wrapped up in my little world and started to forget about the world around me. Since my last blog post I have changed schools and changed roles within the school. Last year I moved to George Lee School and started working as a Learning Resource Teacher. My school environment is quite different. My previous school had about 100 students and was a community school with a high First Nations population. My current school has just under 400 students and has a high EAL population. I am fortunate to hear a multitude of languages and accents along with learning about many cultures. This year I have taken on the role as acting vice-principal along with continuing to work as a Learning Resource Teacher. I have also traveled to Kenya and Tanzania the last three summers to work with Education Beyond Borders. I was fortunate to work with many wonderful teachers as we shared ideas about project based and inquiry learning, differentiation, collaboration and working with professional learning clusters. During my first summer I worked in the GIlgil area about 100 kilometers northwest of Nairobi, the second year I worked in the Mount Kilimanjaro area of Tanzania along with the GIlgil area while the third year I concentrated my work with EBB in Tanzania. All of my experiences were extremely rewarding and taught me so many things about myself as a teacher, person and world citizen. I am starting to feel the need to re-connect to my professional colleagues that I have worked with around the world through blogging and twitter. As well, I am considering planning some collaborative learning projects for students this year. With the 2014 Winter Olympics in Sochi it might be time to start planning on project for that. It’s good to be back and I’m looking forward to reading blog posts, tweets and articles from my many colleagues around the world. What are we pretending not to know? Even knowing that the future aches for a new kind of learner, thinker, and problem-solver, all the dollars and time spent on techno gadgets still have changed little more than pockets of classrooms for kids. We need to seek higher ground for our visions and our results. Transform learning by making meaning by what we or the students know. Have students own their learning and be pushed beyond what they know. Ask the next questions, challenge the students and challenge your self. Its an open question if I don’t know the question yet. Our goal is more transformative learning. For higher order thinking we need to require students to make meaning requiring reasoning/thinking using facts. Students are required to demonstrate being knowledge producers-focused on creating evidenced or logic based thinking beyond existing information. This goes beyond Summary reports into persuasive, original work. Engaged students respond to open ended questions with no right or wrong answers – complex issues calling for their own developed perspective or solution. Students are guided to take responsibility or own their questions, tasks, managing processes, and defining assessments. Students guided to incorporate their interests and affinities. In authentic learning the task has relevant, real-world challenges. Tasks are designed for collaborative groups modeling real-world work. Student work developed as evidence of genuine learning. In technology modes and tools are used to enhance the experience. The learning task or experience would be experience or impaired without technology. Technology uses create “new stories” for learning and teaching with new tools. Technology accelerates thinking, learning and communicating tasks. Tasks could have rigor, purpose and produce knowledge makers. Digital Media Scoring Guides. The more senses that are engaged the more the learner is engaged. Looking at the Future: Are we getting ourselves ready? Our students ready? Our schools and classrooms ready? Media specialists are the keys to change in schools. Biggest problem for students is not knowing what are credible and reliable sources. Students need to rehearse and practice to use the tools and learn how to use them in regards to their learning. It is not for the sake of change. Change is the status quo. Sticking power of what kids know. We have a generation of kids that are sensory deprived and context deprived. Only about 17% of our kids are engaged in school. Our kids have sensory overload outside of school. What shifting in our schools will accommodate these kids. Are we getting them prepared to take over the world? How do we get them ready for a world we can’t imagine? We will need to collaborate, problem solve, use the 21st Century learning tools. What do we need to make happen? What do we think is valuable? What needs to change? Vision is about urgency and commitment. It’s what we need to move forward. Technology also accelerates innovation, connection, and global change for good. Influencing Results: To increase school-wide learning. Content and strategies are important. Look at technology plans and teaching. What is the story that we want to create with our students? What tools enable us to tell great stories? Don’t get tricked by the stuff. The goal isn’t to use new technologies but the goal is to go new places. Do we have a new story or an old story that’s more expensive?What’s the quality of the story (what’s appealing?) What is a concern? Whatever you do we your students: Do it on Purpose. Questions and questioning make students think. We want students to make sense out of what they are learning. The goal isn’t to use technology but the goal is to use the power of technology to accelerate learning for all students. Become story makers and keepers for you and your students. I love the information, links and ideas I get my Twitter network. The thoughts of other educators are often provoking and make me think about my teaching. This morning I was checking my TweetDeck and checked out the Curriculum 21 ning site. ‘Langwitches’ had posted a new quote. Curriculum 21 is a new ning site for me but I liked the tag line on their site “Mapping the Global Classroom of the Future.” I’ll have to look around the site more but I may have to join this new network and make some connections.